Oftentimes for a barbarian, wrist and hand protection consisted of little more than a leather wrist cuff or fur bracer. And in these Barbarian Bracers, that classic style is recreated, making a pair of bracers that are as protective as they are stylish. Simple in appearance, these bracers are Made from 9/10 oz. Vegetable Tanned Leather and possess a look that is worthy not only of barbarians, but of all Norseman and Vikings who might want a good pair of bracers to wear when they go out pillaging and raiding. 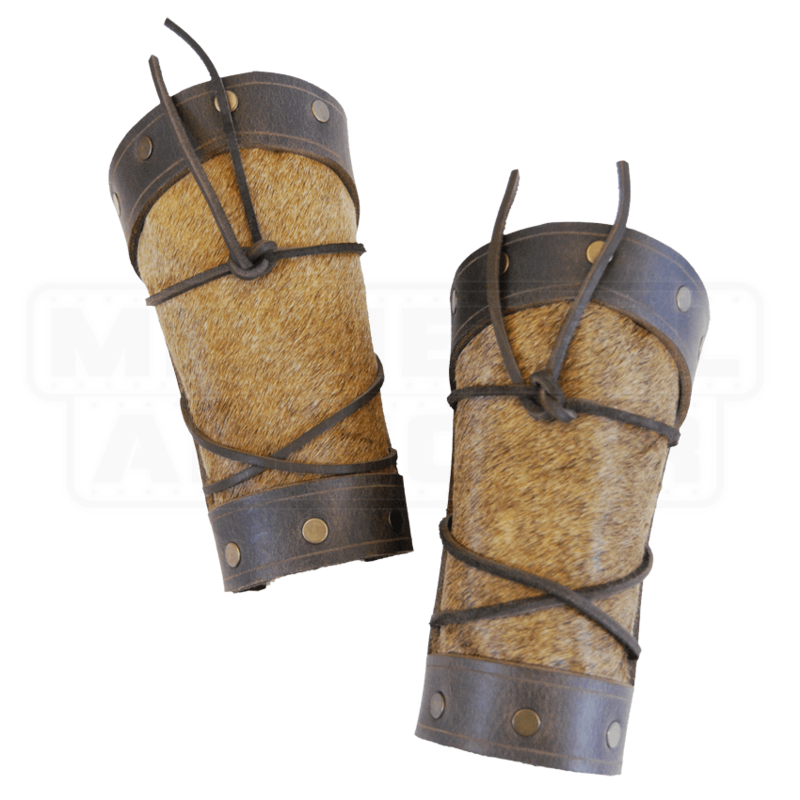 The bracers consist of leather frame that wraps around a patch of cowhide, while leather lacing ties just over the cowhide for an added touch of decoration. The bracers are available in two colors, either black or brown Please note that the color only references the color of the leather. They only come in one size, although leather grommets with lacing give these bracers a fair bit of adjustability when it comes to sizing. 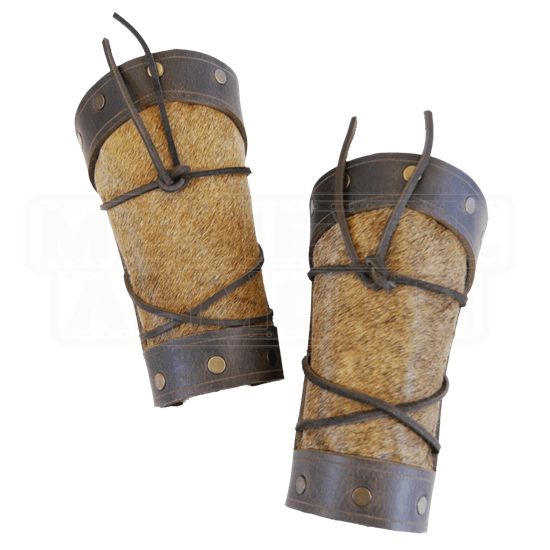 These Barbarian Bracers are equal parts form and function, providing a bit of defense as well as a bit of style that helps pull together any savage and feral look, whether you are a barbarian from the worlds of fantasy or a Norse Viking from the annals of history. My bracers arrived on time, in very nice packing, and inside a plastic bag. At first sight I knew these were gonna be nice to touch. The leather is very nice, the stitching was impeccable, and the color was spot on as depicted in the pics. The lace up is what is important here. The way you lace the bracers up will have a big impact on how they fit. I laced mine bottom to top (wrist2elbow) and the fit was fine for me. I think if your a smaller person, say like less than 135lbs you might might not like the fit, may look to outsize you body wise, def not kiddie crap here though. I would def recommend this item to anybody over age 14 and /or weight greater than 135lbs.